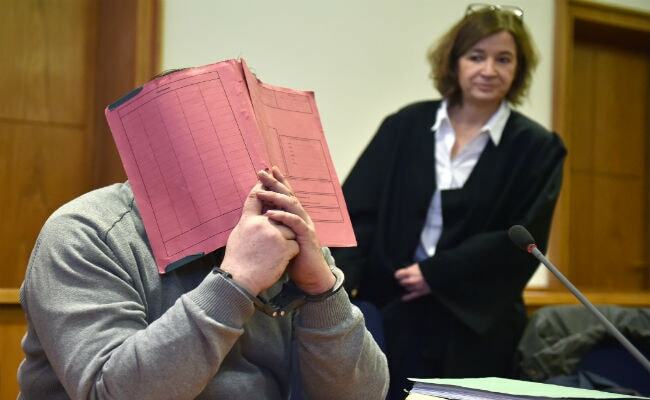 Niels Hoegel, 41, was convicted in 2015 of two murders and four counts of attempted murder or causing bodily harm on intensive-care patients at the Delmenhorst hospital near the northern city of Bremen. Berlin, Germany: A German nurse who used lethal drugs on patients out of "boredom" is responsible for the deaths of 106 people, investigators said Thursday, noting the toll could rise further as more bodies are studied. But exhumations and analyses since have uncovered evidence of scores of other victims, with police saying in August that Hoegel had murdered more than 90 other patients. On Thursday, police and prosecutors confirmed an additional 16 deaths, attributed to the nurse who worked at two hospitals between 1999 and 2005. More deaths may still be uncovered with toxicology studies under way for five other cases, and exhumations of three former patients planned in Turkey. Prosecutors said they expect to bring the new charges against Hoegel early next year. He has admitted to injecting patients with drugs that can cause heart failure or circulatory collapse so he could then try to revive them and, when successful, shine as a saviour before his medical peers. He earlier testified that at times he acted out of "boredom", feeling euphoric when he managed to bring a patient back to life and also claimed to be devastated when he failed. The death toll "is unique in the history of the German republic," the chief police investigator in the case, Arne Schmidt, said in August, adding that Hoegel killed "without a discernible pattern" and preyed especially on those in critical condition. "The insights we were able to gain are terrifying, they surpass what we could have imagined," said Johann Kuehme, police chief in the city of Oldenburg, where the other hospital is located. "He cannot remember every case, but in more than 30 he concretely remembered the patients and his behaviour," said prosecutor Daniela Schiereck-Bohlemann. The revelations date back to June 2005, when a female nurse witnessed Hoegel trying to inject a patient at the Delmenhorst hospital. The patient survived and Hoegel was arrested and, in June 2008, sentenced to seven and a half years in jail for several cases of attempted murder. The authorities exhumed several patients' bodies and detected traces of the drug in five of them, declaring it either the definitive or possible contributing cause. Hoegel was jailed for life in 2015, but at the time it was clear he had murdered many more patients, with investigators admitting they may never know the true number as some remains had been cremated. Several senior medical staff at Delmenhorst also face separate trials for having failed to act speedily over the high number of suspicious deaths when Hoegel was on duty.